Many options available whether travelling along or with colleagues. We have a selection of accommodation options suitable for when you are travelling with colleagues – you can each have your own private sleeping area within the same unit. We welcome corporate travellers at Northcote Motor Lodge. We can make repeat bookings for you throughout the business year, please contact us to receive the best rates. FREE Wifi throughout the motel complex and writing areas within each unit. Northcote Motor Lodge offer a continental breakfast service. Close to cafes & restaurants, and only 10 minute drive into Christchurch city. Secure and spacious car parking is available in the motel. 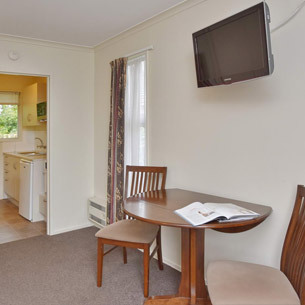 Christchurch airport is only a 10 minute drive away from our motel. These rooms are warm and quiet. Two units are upstairs off the balcony for enjoying the sunshine. All have kitchen facilities & own ensuites and a table for working on. If you need an accessible unit, please request when booking. All of these lovely modern rooms are sound-proofed so are nice and quiet. Two are upstairs off the balcony, the rest on the ground floor. All with full kitchen & bathroom facilities. There are various sleeping arrangements available, with separate sleeping spaces.